The property register is kept by the Registry Agency at the Ministry of Justice. Registry offices keep a property register for properties located in their area of ​​operation. The area of ​​action coincides with the area of ​​action of the District Court. The purpose of entering the land register is to give publicity to the acts subject to registration. Entry makes the act counter-opposed and allows you to check whether the builder is the owner, whether the property is not burdened with the burden. There are two systems of registration of acts - personal and real. The registration in the real system is made per lot of the respective property, while in the personal system it is per batch of the person. In addition, in the real system, entry has a constitutive effect, and in the case of personal rather declarative and defensive-disclosure action and only in cases provided by law (for example, in the case of foreclosure, mortgage, denial of property) has a constitutive effect. 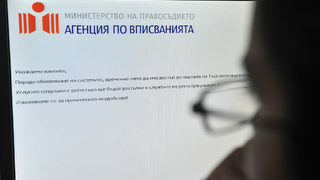 Bulgaria has adopted the personal registration system. Only acts that have been executed by notary or certified by a notary public, as well as those issued by state bodies which are responsible for it, are subject to entry. The entries in the property register shall be made at the request of the interested person or at the request of a notary - in the cases stipulated in the law. The application, which is submitted to the judge through the service, shall indicate the year, month, day, hour and minute of entry and an entry number shall be given. The entry shall be made by order of the Registrar by the Registry Office on the location of the immovable property by arranging the acts to be entered in the prescribed books. If the act does not meet the requirements of the law or is not subject to registration, the record judge shall issue an order of withdrawal, which shall be subject to appeal before the respective district court whose decision is final. The access to the Property Register at the Registry Agency is public and references and certificates for completed entries are issued to each person upon payment of the respective state fee.